There is a role for everyone in educating and working with policymakers. The resources below are available to assist you in lending your voice to injury and violence prevention policy efforts. Contact members of your congressional delegation to urge that they sign-on in support of increased funding for the Core State Violence and Injury Prevention Program (SVIPP) and Injury Control Research Centers (ICRCs)! A group of our allies in Congress are circulating letters to their colleagues in the House and Senate urging that they sign-on in support of expanding the Core SVIPP and ICRC programs. These letters, addressed to the House and Senate Appropriations Committees, present a unique opportunity to demonstrate broad support for injury and violence prevention programs. The deadline to sign-on to the House letters was March 26th. We are working with Sen. Brian Schatz (D-HI) and Sen. Gary Peters (D-MI) to circulate letters in the Senate. The sign-on deadline for the Senate ICRC letter is noon April 12th. For assistance in contacting congressional staff, please contact Paul Bonta, Safe States Director of Government Relations at Paul.Bonta@safestates.org. Simply copy/paste and personalize the language below in an email to your elected officials in the Senate. Find you Senators by clicking on the links below. I am a constituent from [city/state], I urge that you sign the “Dear Colleague” letter being circulated by Sen. Gary Peters (D-MI) calling for expansion of CDC’s Injury Control Research Centers (ICRCs). Unfortunately, the CDC’s National Center for Injury Prevention and Control does not have sufficient funding to support an ICRC program in each state and U.S. territory. The goal is to expand current funding to ICRC grantees, while expanding the network of ICRCs to additional states. ICRCs do much of the research states rely on to inform the design and implementation of their injury and violence prevention programs. Simply put, ICRCs build the evidence-base for state-based injury and violence prevention programs. To sign the ICRC letter please contact devin_parsons@peters.senate.gov. The deadline to sign-on is noon April 12th! 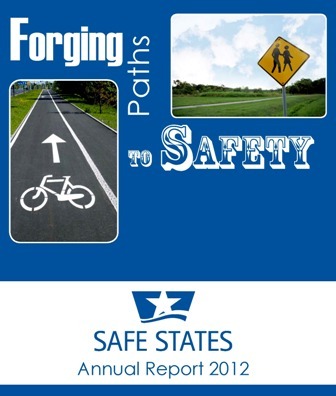 The Safe States Alliance’s Congressional priorities reflect the interests and expertise of professionals on the front-lines of injury and violence prevention in states and communities. Once you are ready to meet with your representative, prepare succinct, clear materials to share your key messages. Below are a series of customizable resources that feature priority policy issues (versions with and without funding requests), and a template to complete with your state's overview. Don't see a resource for your particular topic of interest? Safe States can help! Email info@safestates.org to request additional resources. This comprehensive guide is intended help you understand the process and provide ideas to help you communicate effectively with federal policymakers. As you do so, we also encourage you to learn about your agency or organization’s policies and follow the rules as expressed by your state’s ethics office. Tracking the characteristics of laws, where laws have been adopted, and trends in laws (often called “policy surveillance”) can help to promote accountability and define policy momentum. LawAtlas.org – home to Temple University's Policy Surveillance Program, funded by the Robert Wood Johnson Foundation – is a resource for the systematic collection, measurement, and display of statutes, regulations, court decisions, and other legal policies that matter to health. LawAtlas.org provides free, open access to all maps and datasets.